In January, [Popular Mechanics] ran an exclusive interview with Elon Musk in which he explained, for the first time, his full thinking—and the complex engineering questions—behind his decision to construct SpaceX’s Starship rocket and booster with stainless steel. The previous design for the rocket (which was then known as the BFR) had called for carbon fiber, but Musk recalculated and went with steel due to its durability, cost-effectiveness, and ductility. Astrobiologist Alberto Fairén of Cornell University and the Center of Astrobiology in Madrid, Spain, asks a provocative question in a paper published recently in EOS: How will our exploration of Mars change the Red Planet? The term Anthropocene has been widely used for the current period in Earth’s geological history, in which human actions have had enough impact on the planet that we see a clear distinction from the previous period, the Holocene. The geological signatures of that transition include a variety of features such as the extinction of many animal and plant species, an increase of carbon dioxide in the atmosphere (resulting in global warming), deposition of plastic in sediments, movements of soil from mining, and the construction of highways, dams, and residential areas. The Anthropocene as a geological epoch is not formally recognized, but has been widely used to indicate a period where humans majorly affect planet Earth, beginning sometime in the mid-20th century. Fairén suggests that the same nomenclature should be used for Mars, starting with the first human mission slated for the mid-21st century. The thinking is that with the arrival of the first humans, we will inevitably leave topographic changes such as buildings and excavations, especially when utilizing natural resources on Mars as currently envisioned by NASA. To some extent we already have made changes, considering all our abandoned or crashed spacecraft on the planet and the tracks from our rovers. But once we see the first astronaut bootprints in the Martian sands, the impact will be so significant that, according to Fairén, we ought to speak no longer of the Late Amazonian period on Mars, but of the Mars Anthropocene. Earth and Mars will then have a shared geological epoch. SpaceX Mars launch: Elon Musk hopes to send people to Mars by 2024. Elon Musk has been talking about his plans to colonize Mars for years, most notably at a September 2016 conference in Mexico, at which he said that he would need just 40 to 100 years to create a self-sustaining civilization of 1 million people there. At the time, he also said that an individual trip would cost around the median price for a house in the United States: $200,000. 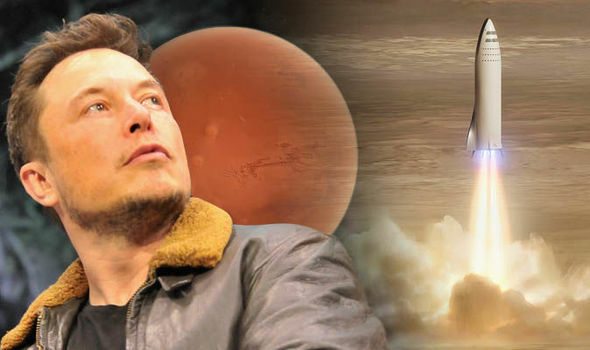 The Big Falcon Rocket is still unbuilt but is crucial to that goal, as it can carry between 100 and 200 passengers — far more than established rockets using what he calls “traditional methods.” At the time of the Mexico conference, The Verge’s Loren Grush pointed out that Musk had yet to answer some of the biggest questions about what a Mars trip would entail. The first and biggest is that, so far, there is no plan in place to protect Mars voyagers from dying of radiation before they even get there; nor do we really even know very much about what it would entail to keep all the muscles inside a typical human body from atrophying over the course of an 80-day trip in zero gravity. Fig. 1. 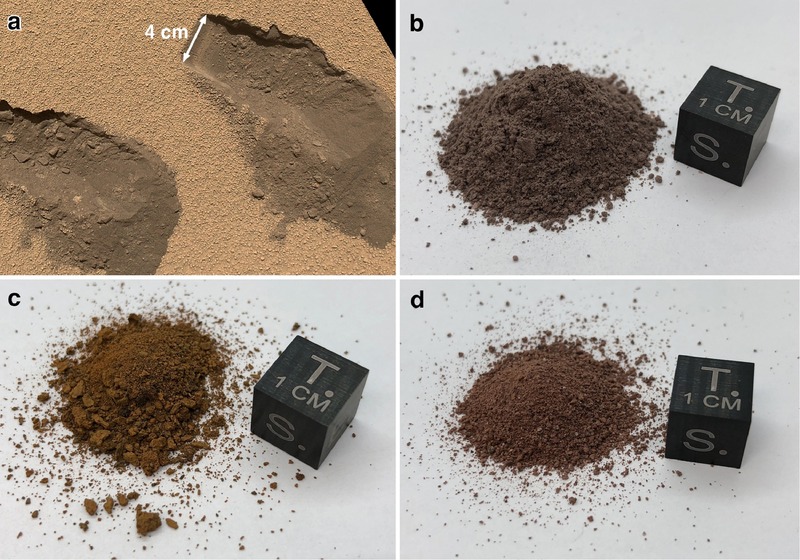 Comparison of martian simulants. (a) MAHLI image of the scooped Rocknest soil; image credit NASA/JPL-Caltech/MSSS. (b) Photograph of MGS-1 prototype simulant produced for this work. (c) Photograph of JSC Mars-1. (d) Photograph of MMS-1 sold by the Martian Garden company. Llorente B, Williams TC, Goold HD. The Multiplanetary Future of Plant Synthetic Biology. Genes. 2018; 9(7):348. Even though plans to colonise Mars are progressing rapidly, it is very hard to actually comprehend what a permanent life out there would be like. One can’t help but imagine it to be pretty Earth-centric; we will need to design spaces and resource solutions that provide what we need and use down here, out there. Food will definitely be an issue; sushi is probably off the menu entirely and fresh produce will become a rare and precious commodity. Hydroponic greenhouses, which are already in the testing phase at the International Space Station, are one solution for growing fresh produce on site. 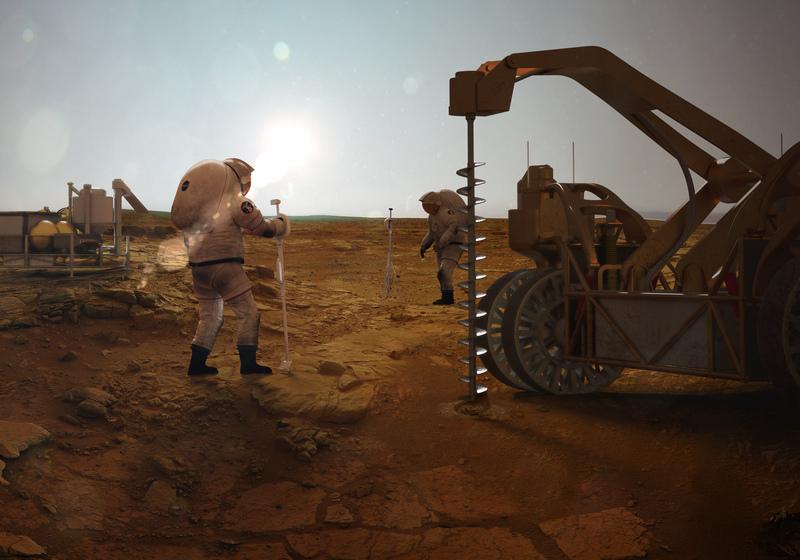 The success of these greenhouses, and other Mars-based initiatives, is based on their ability to mimic conditions on Earth. 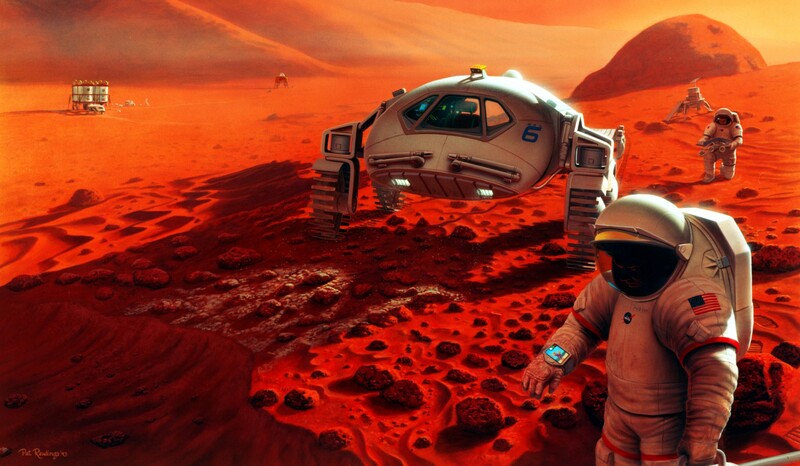 However, maintaining these conditions will be hugely energy-intensive to support, as well as require constant refuelling from Earth, which greatly hinders the feasibility of long-term life on Mars. But like many challenges, sometimes we need to look at the problem from a different angle to find a solution. It is said that the most innovative and revolutionary ideas are forged at the boundaries of different disciplines of thinking. 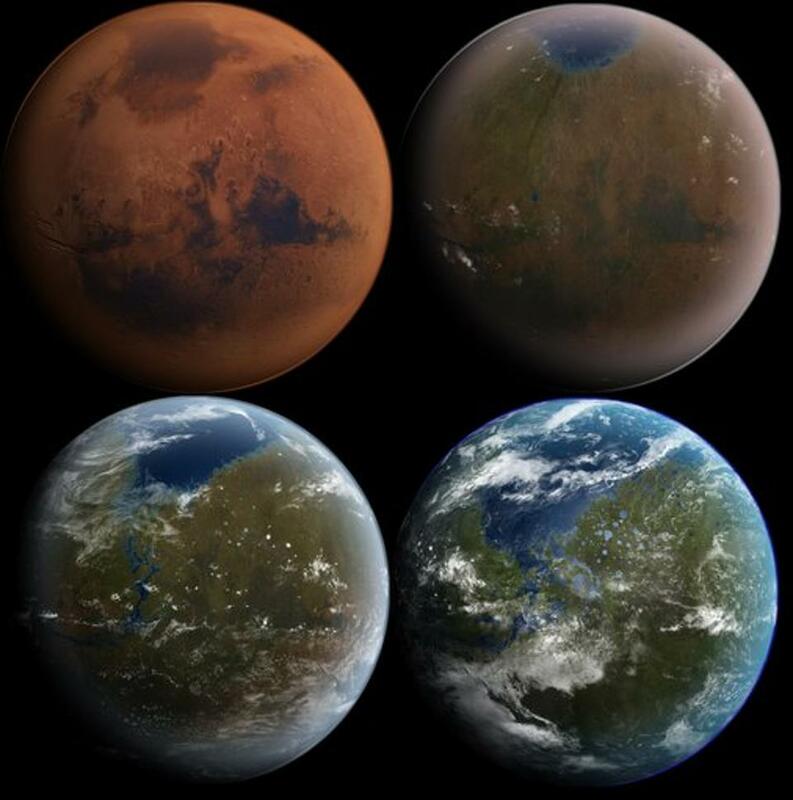 Perhaps, instead of taking our Earth-based living to Mars, we could design our Earth-based living to be more Martian. When research at the macro, astronomical level meets research at the micro, molecular level, this radical and unrealistic idea starts to get some traction. Synthetic biology, and the designing and reshaping of living organisms, could offer new solutions for these daunting outer space challenges. Recently, three local, Aussie-based synthetic biologists published a paper outlining some of synbio-based solutions for realistically establishing human life on Mars. 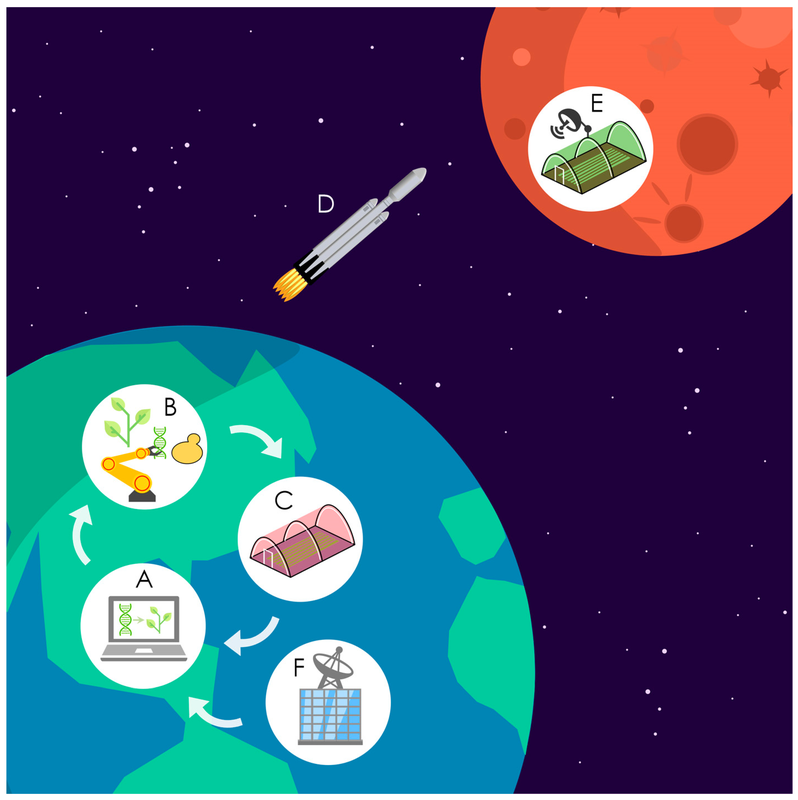 Briardo Llorente, Thomas Williams, and Hugh Goold, based at Macquarie University in New South Wales, outline some accomplishments in the synbio field that could already offer some solutions, as well as provide new and exciting synbio goals for novel, Mars-focused solutions. To say Robert Zubrin is passionate about Mars is a bit of an understatement. The 66-year-old aerospace engineer has devoted the better part of his life to thinking about and encouraging the exploration of Mars. In 1998, Zubrin co-founded The Mars Society, a Lakewood, Colorado-based nonprofit, and in the years since has become an outspoken advocate for the establishment of a permanent settlement on Mars — and a harsh critic of what he considers NASA’s stagnant human spaceflight program. Recently, NBC News MACH spoke with Zubrin about why he feels so strongly that humans should colonize Mars and that NASA shouldn’t build a lunar “spaceport” — and why Mars exploration is so deeply personal to him. Cyanobacteria could be used to render the atmospheres of other planets suitable for human life. The bacteria that 3.5 billion years ago were largely responsible for the creation of a breathable atmosphere on Earth could be press-ganged into terraforming other planets, research suggests. A team of biologists and chemists from Australia, the UK, France and Italy has been investigating the ability of cyanobacteria – also known as blue-green algae – to photosynthesise in low-light conditions. Cyanobacteria are some of the most ancient organisms around, and were responsible, though photosynthesis, for converting the Earth’s early atmosphere of methane, ammonia and other gases into the composition it sustains today. The photochemistry used by the microbes is pretty much the same as that used by the legion of multicellular plants that subsequently evolved. The process involves the use of red light. Most plants are green because chlorophyll is bad at absorbing energy from that part of the visible light spectrum, and thus reflects it. Light itself, however, is a critical component for photosynthesis, which is why plants (and suitably equipped bacteria) fail to grow in very dark environments. Just how dark such environments need to be before the process becomes impossible was the focus of the new research. The team of scientists, which included Elmars Krausz from the Australian National University in Canberra, tested the ability of a cyanobacterial species called Chroococcidiopsis thermalis to photosynthesise in low light. Previously it had been widely thought that the necessary photochemistry shut down at a light wavelength of 700 nanometres – a point known as the “red limit”. The prospect of a human colony on Mars has rapidly moved from science fiction to reality in recent years, with space agencies like NASA, ESA, and others openly discussing the possibility of manned missions to the red planet and eventually the establishment of full-on settlements. Of course, a self-sustaining Mars colony would need the same things we need here on Earth, including the ability to farm, and scientists in the Netherlands are now reporting that they’ve taken a big step towards that goal by successfully getting worms to reproduce in Mars-like soil. NASA is thinking about introducing an artificial magnetic field near Mars so that it can develop an atmosphere which would hopefully help Mars support life and liquid surface water in the future. If introduced, Mars could have an atmosphere with half the Earth’s atmospheric pressure within a few years and maybe, just maybe, you’ll start seeing friends and family, or even yourself, moving to Mars sooner than you thought.